DAVID LE/Staff photo. 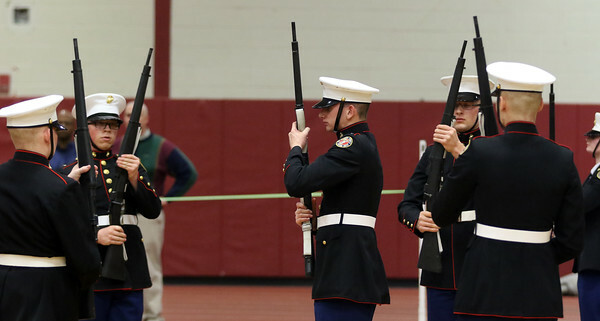 Members of the Mexico Academy ROTC perform a routine at a junior ROTC meet held at Gloucester High School on Saturday afternoon. 1/16/16.